Streamline the Storages – One of the biggest difficulties for a small kitchen is storage. Instead of cluttering everything on the countertop, you can create a corner garage in your kitchen to keep all the appliances and to reclaim the lost storage space. These corner garages can conceal all small appliance, and you can access them easily too while cooking. 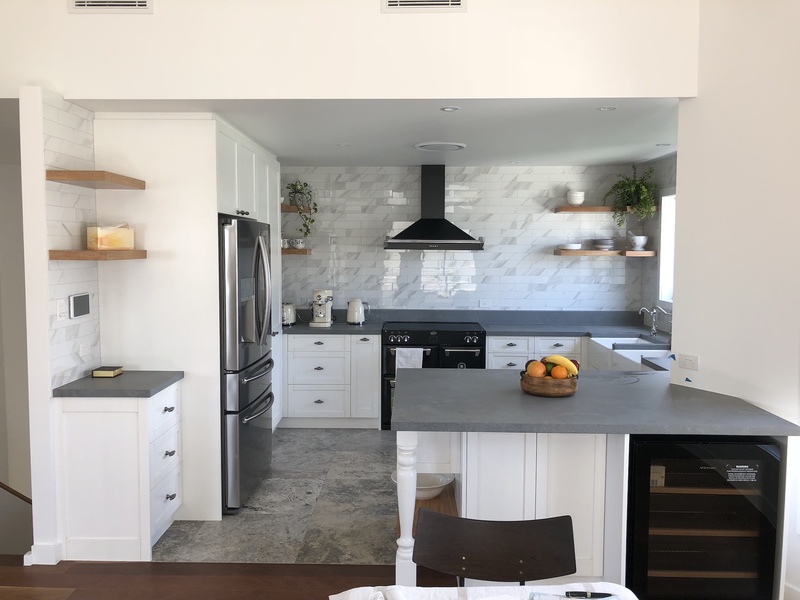 Borrow Space from your Adjacent Room – depending on the layout of your kitchen; you can remove the wall separating the kitchen and the dining or living room. Even though it won’t increase the size of your kitchen, but it will give you a sense of more space and a feeling of openness. Consider Shallow Cabinets – Instead of the standard cabinets; you can opt for slimmer cabinets for your kitchen. It opens up a bit of more floor space and makes your kitchen appear larger. Even though it can reduce the storage space, they would be great for everyday items. Slender the Furnishings – Small Kitchens need small-scale furnishings. You can pick bar chairs, Work Island and even tools that are lightweight virtually. These furnishings will allow you to see the walls beyond and even the flooring, making the room feel much bigger. Welcome the Natural Light – Even though you might not have a choice over the number of windows in your kitchen, you can keep the window treatments to the minimum to allow natural light to enter the kitchen as much as possible. The best way to allow natural lights at all times is to use blinds or an opaque shade. Widen your Kitchen with Stripes – Just like clothes, horizontally striped flooring can stretch the length of the floor. You can create broad stripes by using light and medium colour floor tiles. If you have wooden or vinyl flooring, you can achieve the same look by painting it or using a large striped rug. Replace the Cabinet Doors with Glass – You can replace the cabinet’s solid fronts with glass. It will make you look past the cabinet frames and will make the wall appear much deeper than it is. If you can keep the cabinets in order and clutter-free, this trick would work wonderfully for small kitchens. Incorporate Open Shelving – You can incorporate open shelving into the kitchen to make the kitchen look more expansive. It will also allow you to keep the counter space open where you can display some photos or store your everyday essentials. Use Low Contrast Colours – it is best to keep the kitchen painted in the same colour family with just little minor variations. Even light colours such as white would work too. The trick is to avoid the eye from tripping with sudden colours shifts and giving it a more serene and expansive feel. 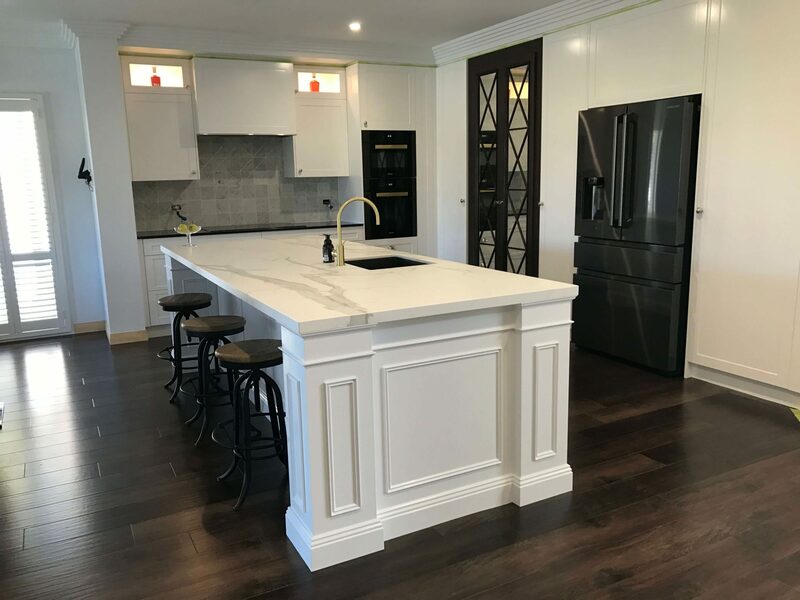 Install Cabinet Lighting – The importance of good lighting in kitchens cannot be stressed enough, and it is another way to make your kitchen look larger. Instead of just the centre ceiling fixtures, you can add lighting under, above and even inside the cabinets to make the kitchen feel brighter and larger. Use Sleep Wall-mount Vent Hood – installing a sleek and wall mount vent hood for your cooktop can make the walls appear farther and give a feeling of openness. Using the vent between the cabinets can give your kitchen a cleaner and lighter look which is a must for small kitchens. 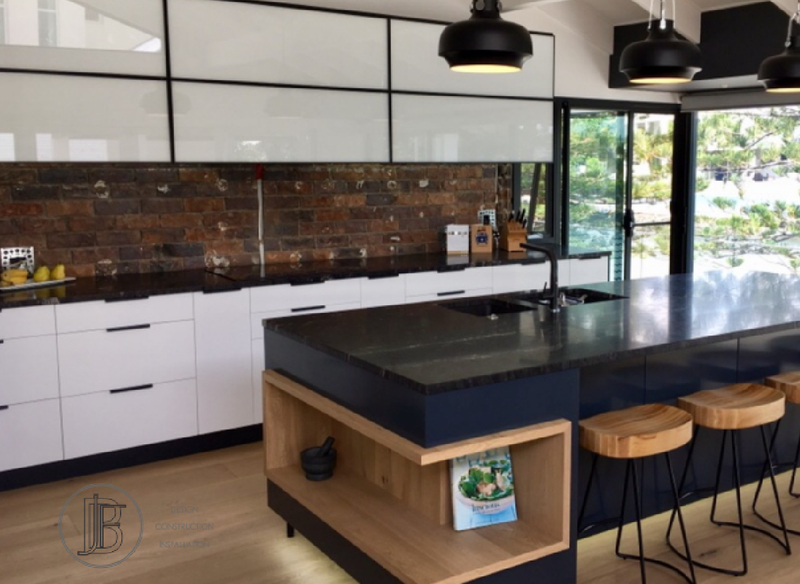 If you are still confused about the different tricks that will work best for your small kitchen, contact BJF Joinery the Gold Coast Kitchen Specialist. 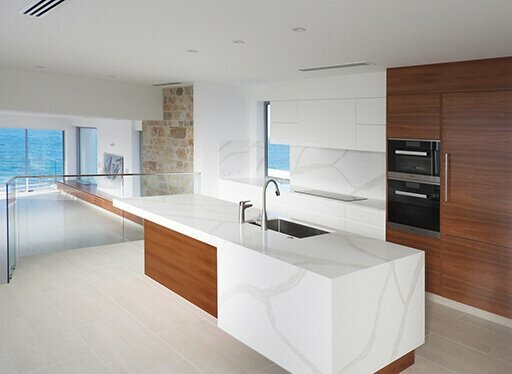 We are known for our quality kitchen projects. We can help you with the changes that you need to make so that you can utilise your kitchen to the fullest.